Body Perfect® Raspberry Ketone & Green Coffee is an advanced, 100% safe and natural weight loss supplement for men and women who want to slim down. Our high strength formula has two actions to help you reach the body you’ve always wanted. 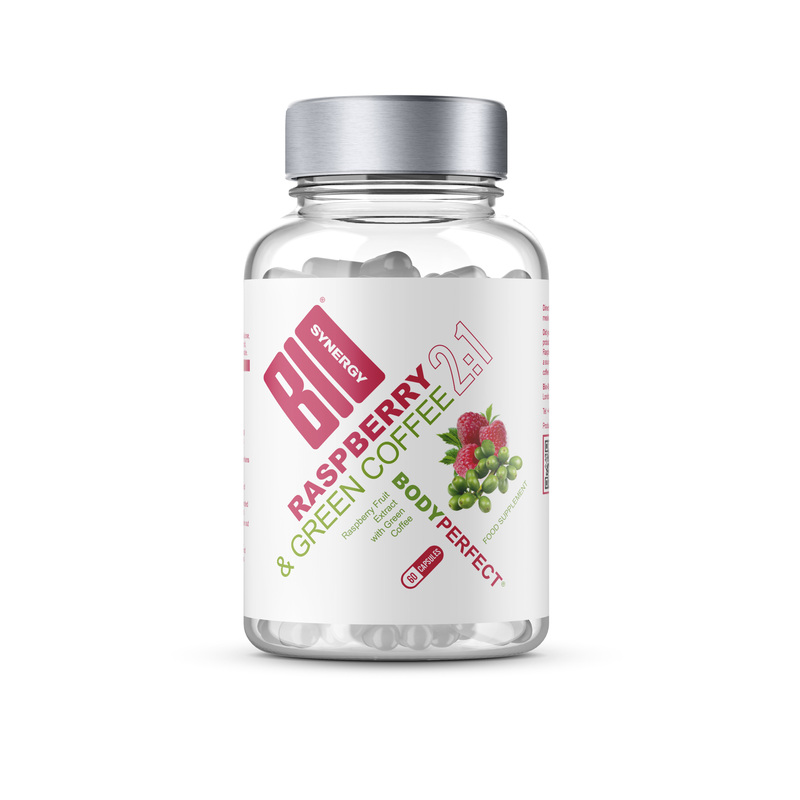 Raspberry ketones can promote weight loss by making fat cells easier to break down, which helps the body to burn fat faster – while green coffee stimulates your body’s metabolism and even curbs your appetite. Body Perfect® Raspberry Ketone & Green Coffee combines two of the most popular slimming supplements of recent years into one, highly effective capsule. There is no question about the fact that raspberry ketone has fat burning properties. The natural weight loss ability of raspberry ketone gained widespread attention when a group of Japanese scientists reported their results in 2005. After analysing the overall working procedure of the supplement, the scientists concluded that ketone stimulates the cells to burn stored fat quickly. The other ingredient in our formula is green coffee, an all-natural stimulant that helps to boost your metabolism and curb your appetite – making it easier for you to follow a calorie-restricted diet. Made in the UK from high quality natural ingredients, Body Perfect® Raspberry Ketone & Green Coffee is a double action formulation that helps you reach your slimming goals. IS BODY PERFECT® RASPBERRY KENTONE & GREEN COFFEE RIGHT FOR YOU? If you’re looking to slim down and curb food cravings, then yes, Body Perfect® Raspberry Ketone & Green Coffee is an excellent choice. We’ve got you covered with a wide range of other weight loss products: Body Perfect®, Body Perfect® African Mango, Skinny Protein®, Activeman Thermolean®, Matcha Green Tea Powder, Skinny Water®, Vegan Lean&Green®, Thermogen and CLA. As with all our products, Body Perfect Raspberry Ketone & Green Coffee capsules are made from only the highest quality, responsibly sourced ingredients. Raspberry Fruit Extract, Cellulose, Green Coffee Extract 50% Chlorogenic Acid, Gelatin (Capsule Shell), Magnesium Stearate.